polybore: Double headed Venus fly trap. Double headed Venus fly trap. 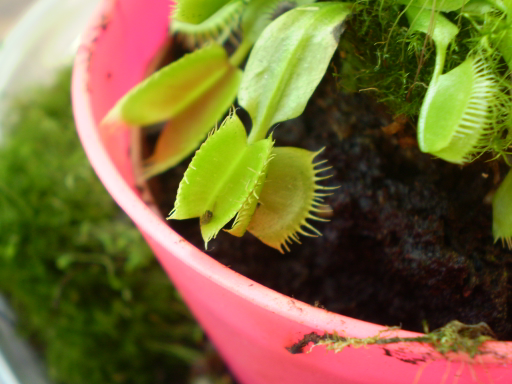 Have been growing Venus Fly traps for a number of years. Never having seen this happen before it was a surprise to find that this plant had produced two "mouths" on the same stem. Fascinating plants. Is that very unusual? Not sure. On first noticing it seem to remember doing a google search on it without turning up anything. Having grown them for a number of years now this is the first time it has happened. Think they had a bad check due to cold which might have caused it.